We here at Umbrella Planet realise that presentation is key when it comes to representing your business on promotional products. That’s why we produce quality mid-sized umbrellas featuring your custom branding emblazoned directly onto the canopy panels. Your recipients will love the simple, practical design of these popular umbrellas and take note of your colourful logo decoration in rain or shine. 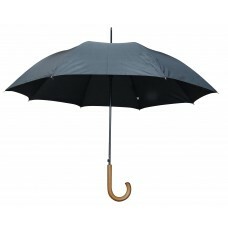 All the umbrellas sold at Umbrella Planet utilise a simple yet reliable opening and closing mechanism. You can rest assured that we individually test each umbrella to ensure their smooth opening and closing before they leave our factory. 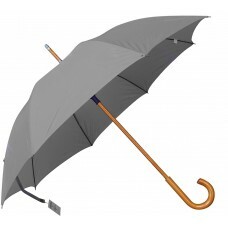 You can select between Automatic and Manual opening mechanisms for your umbrella. 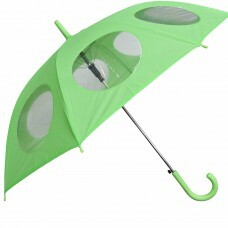 If intended as a gift for children, we highly recommend the medium umbrella. Our customised medium umbrellas make for stylish corporate gifts or expo giveaways. We despatch umbrellas featuring your custom printed design to any location in Australia. The standard turnaround time for these units is two weeks from artwork approval and invoice payment. If you require bulk umbrellas in a shorter timeframe, let our sales team know, and we will provide additional options to meet your needs. 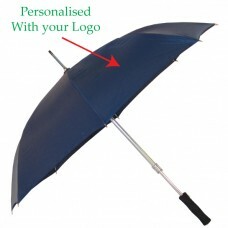 Ensure your team is prepared for any kind of weather with personalised business umbrellas. Whether you're looking at executive gifts for the holiday season or just kitting the group out in matching gear for a tradeshow, medium sized umbrellas make the perfect business accessory. Pick an umbrella that matches your company colours and we'll brand your logo onto as many as you need! Be proud of your business and your team with mid-size umbrellas customised to your needs. Do you have a team of blokes requiring umbrellas for the rainy season? 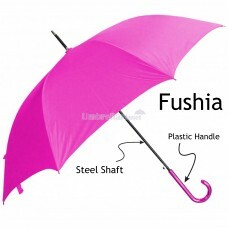 Ladies seeking fashionable umbrella options that don't skimp on canopy size? Or perhaps you're looking to please a large group of both men and women with a handy new gift. 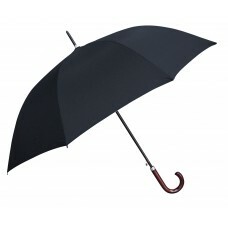 Luckily Umbrella Planet has a great assortment of modern mid-sized umbrellas that suit all people and campaigns. From men's favourites like the handsome Don Juan Automatic, women's cutting edge Classic Slim Hook units right through to the universally appealing Shelby Logo Printed Umbrella we have options that will suit you. Ask Umbrella Planet about how you can spice up your next marketing event with personalised umbrellas that appeal to your key demographic. 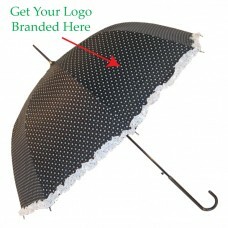 The most popular option when it comes to printing on our medium umbrellas is undoubtedly single panel screen printing. Using this simple technique, your logo is branded onto one of the canopy panels - allowing clients and passersby alike to notice the distinct design. If you're looking for a premium, unique option for orders over 500 units, we can print on all the umbrella panels. Using this technique we could brand your logo multiple times, print a variety of slogans or even transfer a whole visual scene to the exterior of your umbrellas. Just ask our friendly team about extended customisation options - if you have an idea, we will do everything we can to make it a reality. 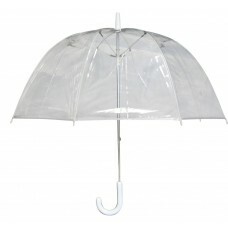 Our range of customisable umbrellas feature three different frame materials. Stainless steel - our popular budget option that provides robust structure at an affordable price. Stainless steel is sturdy and isn't prone to rust, making it an excellent option for producing the skeletal structure of an umbrella. Anodized (blackened) steel - for those who like the firm and economical nature of steel but with a smoother, more refined finish that is even more weather resistant. Carbon fibre - the ultimate material for use in umbrella frames. Carbon fibre provides strength like the steel option, but with greater flexibility for even more durability in extreme wind conditions. More costly than steel options but extremely long-lasting and lightweight. If you're not sure which umbrellas are produced using which materials, just ask our friendly sales team for more information.